Chrome for mechanical fuel pump mounting plate for Small Block Chevy 265-400 CID. Mr. Gasket announces a fuel pump mounting plate to dress up the fuel pump area of your engine. 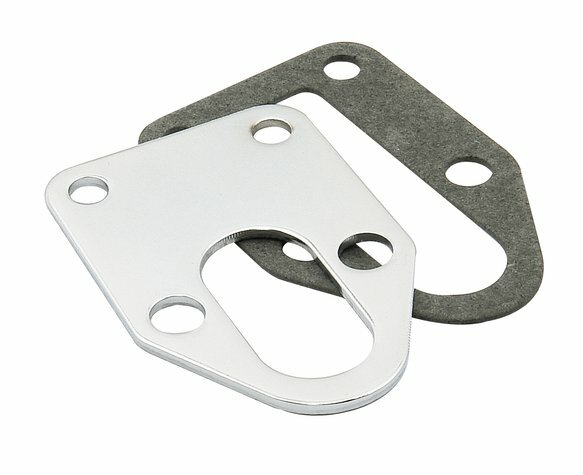 This chrome plated mounting plate, for the 265-400 cu. in. Chevrolet small block engine, is ideal for mounting a stock OEM pump. The mounting plate is precision cut to cover the stock fuel pump opening and is complete with gasket.